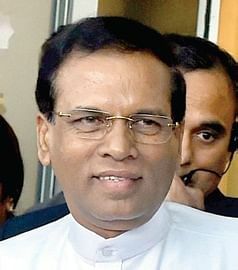 COLOMBO: The Maithripala Sirisena government in Sri Lanka is fast mending damaged fences with China. While the stalled $1.4 billion Colombo Port City project is likely to be cleared with some modifications by a committee of secretaries headed by the secretary to the Prime Minister, defence cooperation is also set resume. But the Chinese did not take it lying down. On March 17, Zhou Yongsheng, spokesperson of the Chinese embassy in Colombo, quoted international law to deny that the grant of a piece of land to the Chinese company building the Colombo Port City would be in violation of Lanka’s sovereignty.